Lavender oil can be both Relaxing and Stimulating - It relaxes you when you are tense and stimulates you when you are low. It contains a large proportion of Esters - Effective in the healing of wounds and scars. Cooling and anti-inflammatory help for skin disorders. Both types of Aldehydes are present in small amounts - no sensitisation problems. Oxides provide help in respiratory problems. Monoterpenes offer antiviral properties, amongst others. The large proportion of Alcohols indicates that Lavender will have good stimulating properties that act in a powerful but gentle manner. 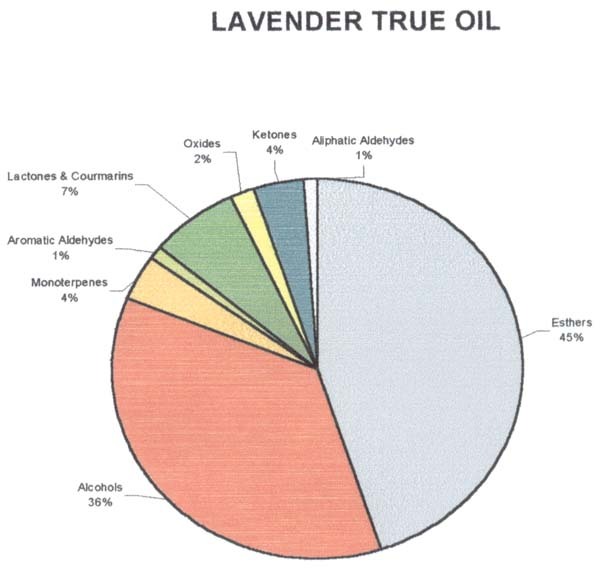 An example of the many properties of an essential oil. ANALGESIC; ANTICONVULSIVE; ANTIDEPRESSANT; ANTIPHLOGISTIC; ANTIRHEUMATIC; ANTISEPTIC; ANTISPASMODIC; ANTIVIRAL BACTERICIDAL; CARMINATIVE; CHOLAGOGUE; CICATRISANT; CORDIAL; CYTOPHYLACTIC; DECONGESTANT; DEODORANT; DETOXICANT; DIURETIC; EMMENAGOGUE; FUNGICIDE; HYPOTENSIVE; NERVINE; RESTORATIVE; SEDATIVE; SPLENETIC; SUDORIFIC; VULNERARY. PRECAUTIONS - Some people with low blood pressure may feel a bit dull and drowsy after using this oil. The many properties mean that the oil can be used in many different ways to help alleviate common ailments. Reducing Inflammation. - Helps relieve Rheumatism. - Controls Infection. 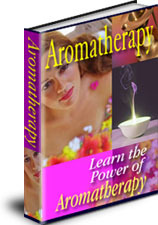 Lavender is probably the most popular and versatile of all the Essential Oils.